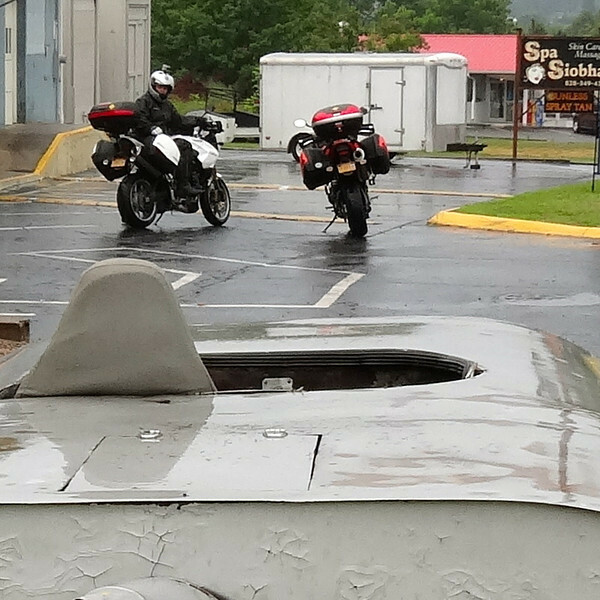 We actually saw the muffler car when we pulled into the town of Franklin, NC on Day 3 of our road trip south. I caught it out of the corner of my eye as I rode past it. It was after dinner time and Kenny and I were both tired and hungry. So, I broke one of my own rules and kept going. Clearly he wasn’t excited because the magnitude of its greatness did not have a chance to seer into his retinas yet. But luckily for blondie, I’m not a quitter. I did what any smart person would do and set a reminder on my iPhone to visit the muffler car when we were heading out the following day. 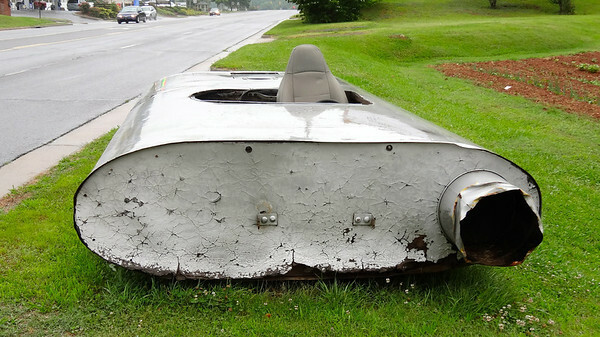 Can you imagine how fabulous a burnout in the Muffler Car would look? Peelin’ out with 4 on the muffler floor. Badass. Ummm why did you not sit in that! Funny, my Hubby gets that look a lot, too! I had to laugh out loud at this post. Good one. You find the coolest stuff. You have an eye for it. Awesome! I can honestly say I have NEVER seen anything even remotely similar! Good find!